How I position myself in bed at night determines whether a post will go up on this blog. If I get to bed and recline immediately, no post is going up. If I sit up and my laptop is nearby, then something’s got to give. That is exactly what I just did. It is 12.54 am on the 30th of December 2013. A few minutes ago, it was my birthday. I turned 24. I am growing old. Sometimes you’re up, sometimes you’re down. Sometimes you feel like spinning around. These are words from a song I used to listen to years ago and they ring true today. And it will be no different in 2014. Until you challenge yourself, you will never truly know what you are capable of. If you never ever envy your friends, your closest allies, you need a change of friends. You will meet new friends. You will fall out with old friends. The difference lies in how you choose to deal with it. And what you’re willing to do to maintain relationships. This is the 21st century. If you acquired a skill a year ago, you had better be improving it before you become obsolete. For instance, I took web design classes in 2008. Back then it was just HTML and CSS. 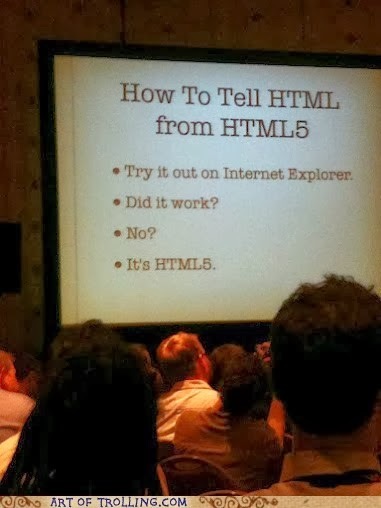 Today, it is HTML5 and CSS3. Need I say more? You may think that you wasted time pursuing a certain course or job but when you look back and think about it, it build you up and set you up for better things ahead. For me, pursuing a degree in Information Sciences is one of the best decisions I have ever made in my life. I may not be sure what it is I want to pursue as a career in the long haul but my degree laid a good foundation for whatever career I will choose to throw myself in. There is a difference between contentment and complacency. You may be contented with where you are right now in terms of career and family. That does not mean you will just sit there and not look forward to doing better and scaling the corporate ladder. No. That is complacency. Women will always be treated differently from men. I have no problem with that. You should not have a problem with that too. Being sceptical about what you have always believed is not wrong, neither should you get freaked out because you are not sure of what you believe anymore. Scepticism ignites a need to know more about what you already know and somehow, the very faith you are beginning to doubt may very well be rooted even deeper after you discover more information. The problem arises when you are sceptical and do nothing about it. Just sit there and listen to what everyone else is saying, move with the crowd. Well, you have to be your own man sometimes. Music is powerful. Music brings people together even when you do not understand the language. Think songs like Khona (which I spent ages figuring out its title and owner) and you will see what I am talking about. Music makes you remember things you would otherwise struggle to remember. That is why I still choose to listen to music that makes sense in 2014. We are all connected in some way, even if we have never met. Life goes on after disasters and celebrations. Learn from them. Things look so much prettier on the outside. Venture in, take in the shock and learn to deal with the unexpected. Life is not a bed of roses, no matter what marketing departments try to tell you. Confidence is the best accessory you can have in your wardrobe. Take time to talk to people who seem unapproachable. Swallow your pride. What’s the worst that could happen? They will definitely not bite you. That one person you squabble with the most is probably the most sincere person you will ever meet. That other person you have never fallen out with, well, is one you need to wonder about. Have a person who brings you back to earth when your temper has flared and you want to maim and do some other unpleasant acts. You do not know everything and you never will. Listen to advice. Have people you look up to. Read. Google. Countercheck. Mentor. If you have no one you’re moulding, no one who looks up to you, you are failing humanity. If you feel the need to do everything yourself because your little brother or sister cannot do it as well, you need to ask yourself the hard questions. I have been doing so of late. Why is it that everyone is in a relationship but you? False. Not everyone is in a relationship. Take your time. Be unselfish while at it. Material possessions come and go. Take care of them but don’t sweat if they disappear or stop working. They are things. That is what they are supposed to do. This introvert-extrovert boxes everyone is trying to put you in, forget about them. You can speak in public but you cannot be the life of the party. So what? You will be what you need to be. You will be you. You will get hurt, no matter how much you avoid it. Don’t hurt back. Walk away if you have to. 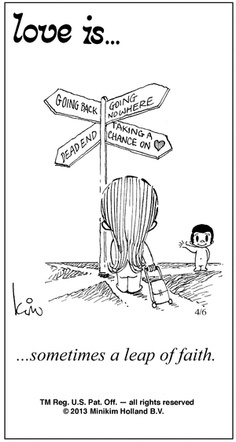 Most times, you will walk back once you are thinking rationally. For the purposes of time and space, I limited this to 24 for symbolic purposes. You know how much we are all into symbolic stuff? How we want to make resolutions because a new year is beginning? Well, you can decide what you want to change, what you want to keep and what you want to maintain at any time of the year. After all, a year is just a conventional time period that was not even standard in earlier centuries. Bored cannot begin to describe what I am right now. It is a Sunday night I have been stuck in my room watching movies because I have managed to push away very many people who used to keep me company on Sundays. I cannot even begin to count how many they are. I have this thing, some sort of phobia for letting people too close. The moment I try, I end up getting hurt. Okay, life is about taking risks but still some risks are not worth it, especially if you know they are not a matter of life and death. The reason I am bored is maybe because I took timeout from twitter. I used to tweet like every other minute, on my phone and laptop whenever I got the chance. Some people even refer to me as the girl who carries a laptop everywhere because in all fairness that is what I am around campus. There something about me and cyberspace. Actually over 80% of my friends I met in it. I don’t know why but that’s just how it is. Even my tightest classmates and friends in campus, I did not meet them during a lecture or while walking around the campus, it was either on facebook or twitter. This is a good and a bad thing. Cyberspace makes people who are not naturally outgoing to appear to be so in writing. It gives introverts like me an avenue to be heard and socialize without the fear that millions of eyes are staring at you on a stage. I have met awesome people through the Internet. They have been there since we met and listen to all my blubbering and arguments. Never mind they are all dudes for some strange reason. Heck, I even earn via the net too! Which brings me to the other thing; Internet has sort of alienated me from girlfriends. I have formed this notion that girls have too much drama. It could be true, I am one anyway. It takes one to know one. But really, who am I kidding? A dude may cause more drama than ten girls combined, drama inside your heart and head. Oh yes, I am sure you could tell I was coming to this. The root cause of many decisions, whether directly or indirectly, is the soul mate issue. How possible is it to find one online? That is a story for another day lest I get us all confused. There is the bad. You do not know when to take someone seriously in this virtual world made of millions of code. Most are not even themselves. You may be having a conversation with someone who is just taking you for a ride while on the other side of the continent or world you are taking every word as gospel truth. The time I waste on the net rather than doing something constructive is unbelievable. This is debatable though. What exactly is constructive? I can get a whole lot of information from Google in 5 minutes than I would by walking around the library looking for a book. But then there is the problem of information overload and all (yeah I had to bring my information sciences into the blog for once). Google might end up confusing me than actually helping me. Like this one time I had an embarrassing condition and kept quiet about it for weeks (don’t let your imagination run wild, it was not that bad but I thought it was). So what did I do? Of course I Googled and misdiagnosed myself which contributed to me keeping quiet longer. Eventually I gave up and saw a doctor who solved the problem. That is definitely a bad thing, thinking that the Internet has answers for everything. Sometimes, the traditional sources are much better and reliable.